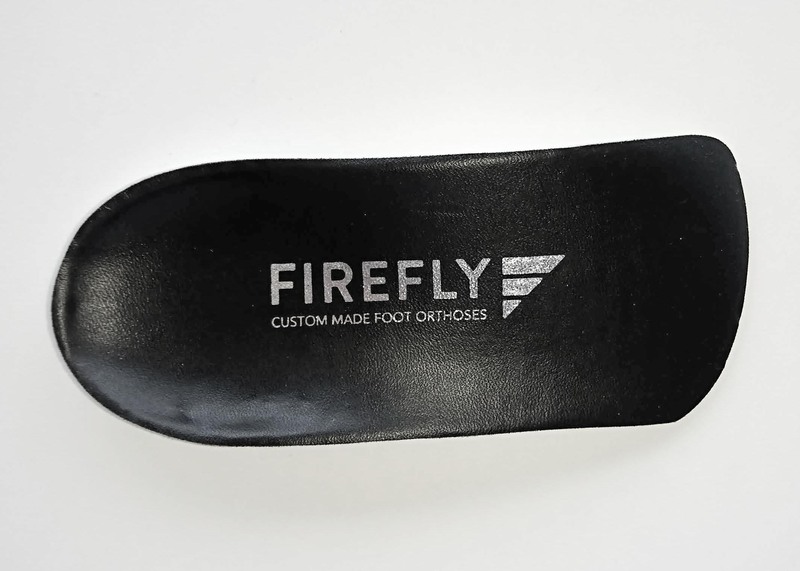 So you want to prescribe custom made foot orthoses. You know that doing so, you can provide a more complete package to your patient’s but you think there are too many barriers to overcome before you are confident enough to begin prescribing. Fear not; the process is not as daunting as you think. We know that no two pathologies are the same but there are orthotic types that treat common pathologies. 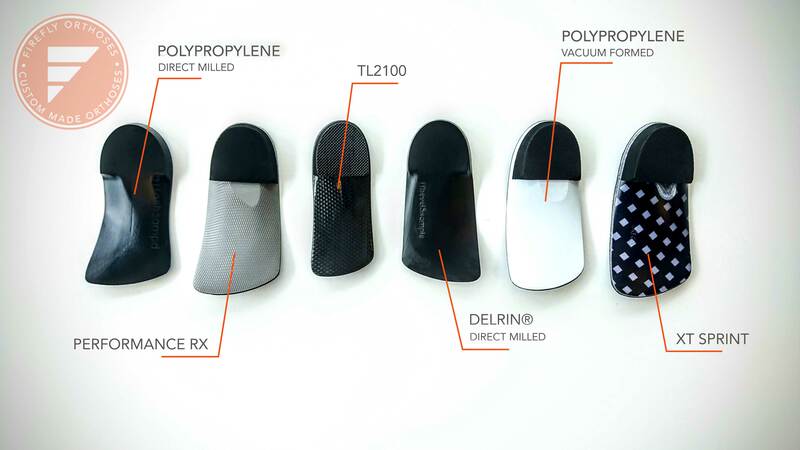 By grasping some core concepts, you are well on your way to expanding your scope of practice by offering foot orthoses! The premium quality of our products coupled with our industry leading Technical Support sets Firefly apart from the competition. On a daily basis we work along-side podiatrist of all level of experience, advising on the best device to meet the needs of the patient. If you’re interested in prescribing Firefly devices, why don’t you click or tap the button below to discover the benefits. If you have any further questions or queries about the concepts covered below, or not fully explored below, contact our Technical Support team. At Firefly, we offer 5 shell materials; polypropylene, TL 2100, XT Sprint, Performance RX and Delrin. different shell materials of the same thickness will have different load/deformation characteristics. The same material with different thicknesses will have different load/deformation characteristics. Therefore picking the material and what thickness to use should be made based on factors such as the desired rate of change of momentum and/or patient body weight. Polypropylene is used to created both our direct milled and vacuum formed range of products and is available in rigid, semi-rigid and semi-flexible. Polypropylene shells are highly durable. Our vacuumed formed Polypropylene shells produce a neat finish for slimmer fitting shoes. XT Sprint Similar to TL2100 but offering greater flexibility, this poly-graphite material allows for deeper heel cups than that of the TL2100 option (below) – up to 20mm. This material is suitable for both sport and dress devices, but is preferable to TL2100 in athletic footwear. TL2100 is a thermoplastic acrylic carbon fibre composite laminate available in 2.2mm semi-rigid and 2.8mm rigid versions. Similar to XT Sprint, but offers greater rigidity. This material is suitable for devices designed for slim fitting male and female dress shoes. Not advisable for athletic footwear. Heel cups are limited to 18mm in depth. Aesthetically speaking, TL2100’s carbon fibre is very eye catching – it looks the business! Performance RX is similar to Polypropylene but more suitable for high impact environments. This material can withstand plenty of punishment, bending, flexing and stress. Suitable for low profile requirements with a maximum heel cup depth of 18mm. Delrin requires Roughly half as much DELRIN® is required as that of a standard Polypropylene shell. Therefore, 2.5mm Delrin® = 5mm Polypropylene to create the same level of support and can still be heat adjusted in the manner of a standard Polypropylene shell. Click here to find out more about Delrin®. All Firefly shells have a functional life span of 3 to 5 years within which Firefly will guarantee the devices. 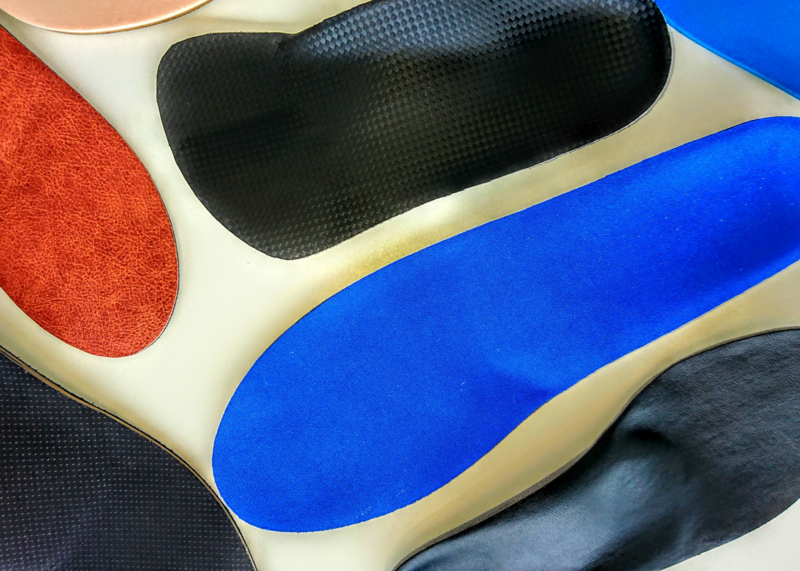 We recommend patient’s orthotic devices are reviewed every two to three years. Note: remember, bare in mind patient weight when considering most suitable shell material and thickness. The geometry of the device is ultimately influenced by the patient’s arch height, this is captured in the negative impression of the foot. 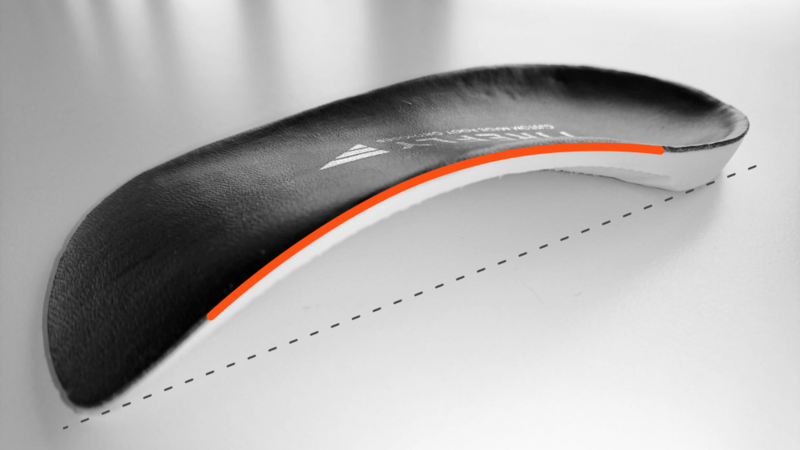 The height of the arch will impact the rigidity of the device – the higher the arch the greater the rigidity. 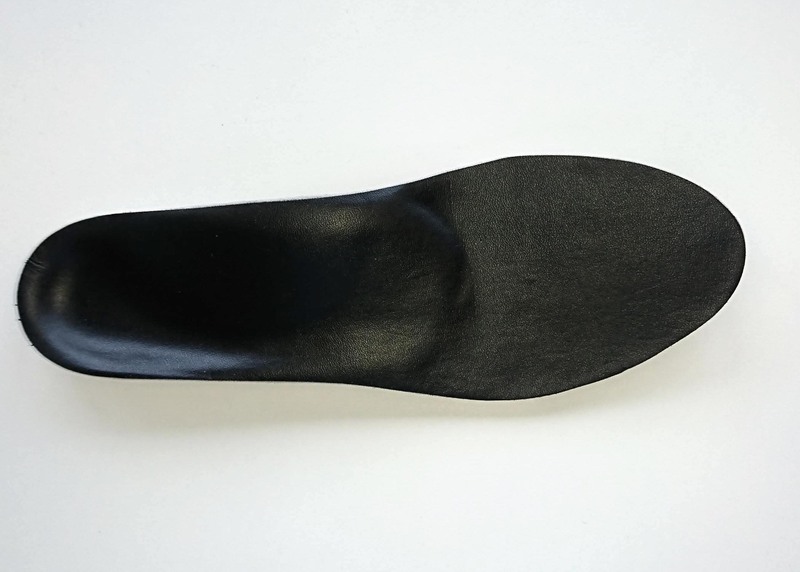 Foot orthoses are commonly described as arch supports – this is a extremely narrow interpretation of orthotic device’s functionality. Instead, the podiatrist should be thinking how the device will influence forces and movement – kinematics – and how device shape will help achieve the goals in treating the patient. Therefore, the geometry of the device will depend on what the podiatrist is attempting to achieve. Bamboolon, Plastazote, Nyplex …. what?!? Let’s talk top covers – the material secured to the top of the shell comes in many varieties, colours and densities. There are two primary considerations when choosing a top cover: comfort and durability, however the degree of friction a top cover offers shouldn’t be over looked either. The common top covers found on Firefly devices are vinyl and puff. Vinyl features as the default top cover on our standard functional devices and mens dress. Available in black and blue and measuring 1mm thick, vinyl is chosen for it’s classic look and durability. Puff is our default top cover for our mould and sport devices. Available in a multitude of colours and in two thicknesses [1.5mm and 3mm] this material is versatile, durable, provides cushioning and offers friction to prevent the foot from slipping in the footwear – important for sweaty environments where excessive forces of movement are at play. 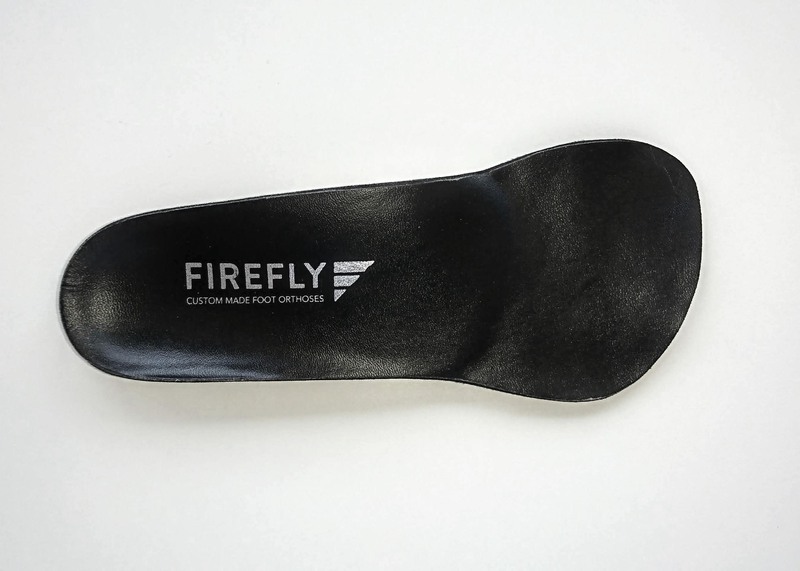 For those who wish to delve deeper into the world of top covers, read Firefly’s Orthotic Top Cover Guide. Met , Sulcus or Full Length – What’s the difference? What dictates the length of a foot orthotic? There are a number of considerations; if the patient wishes to move the device between various footwear types, then a met length devices is the most functional choice. If a patient requires forefoot additions, indicated by surgical trauma or induced amputation a full length device will be required or there’s the option to split the difference and chose sulcus length. The devices shell ends near the metatarsal heads and is sometimes referred to as 3/4 length devices. Met length devices are commonly used in dress shoes and are therefore neater [narrower and slimmer with shallow heel cup] in design. By reducing the size of the foot orthotic there is some loss of control. The devices extends under the ball of the foot and ends just before the toes. This can be beneficial for patients who wear hight heel shoes or need more comfort here due to increased pressure. The full length device extends from heel to toe and covers the entire base of the footwear. 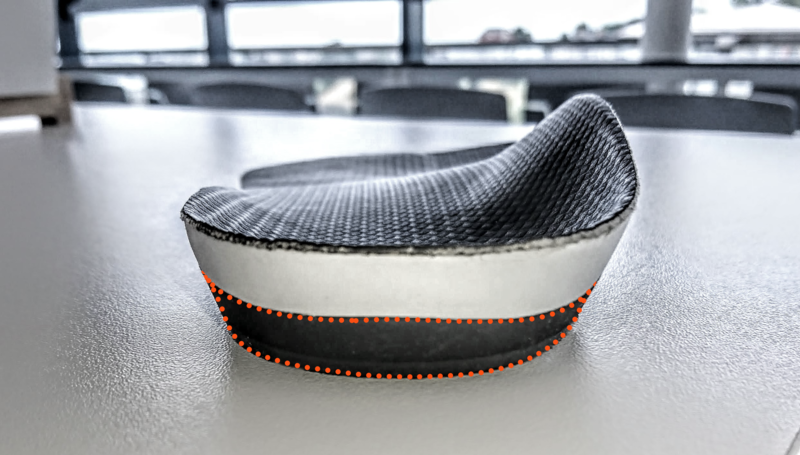 To accommodate a full length orthotic, it is advisable that the footwear’s insole is removed before the orthotic is inserted. Full length devices are commonly used in sports footwear [football boots, athletic running shoes, hiking and work boots]. The podiatrist can continue to correct foot posture and joint alignment with orthotic posting. Here the podiatrist can manage pronation and supination of the foot by making modifications to the anatomy of the orthotic. Tilting certain aspects of the device’s shell will control motion and joint forces. The plantar angles of the fore and rear foot can be controlled to improve the stability of the medial column. There are two considerations here; intrinsic or extrinsic postings. 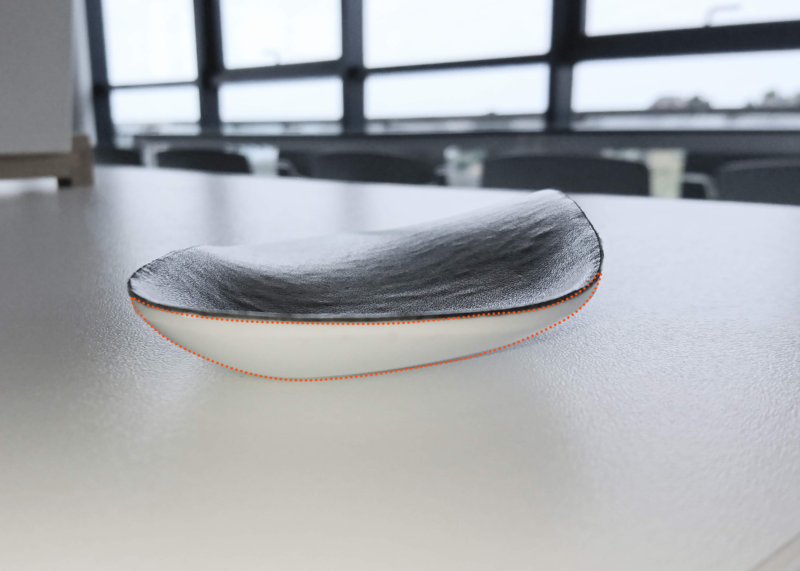 Intrinsic: this is created on the positive cast of the orthotic shell. This results in a neater less bulky device. Extrinsic: this posting is an additional piece of material on the exterior of the device shell adding support, stability and greater rigidity. If you need to find out more about intrinsic and extrinsic postings, talk to our Technical Support team. Our technical support team offer assistance to clinicians of all levels and experience over the phone and by email. If you’re interested in prescribing Firefly devices, why don’t you click or tap the button below to discover the benefits.